Belmont Cragin is a fast-growing, vibrant community. With 77% Latino residents and a high immigrant population, the neighborhood is home to stores, businesses and an entrepreneurial spirit. Yet, a need for living wage jobs and concerns over gentrification and displacement of residents and local businesses are rising in the community. 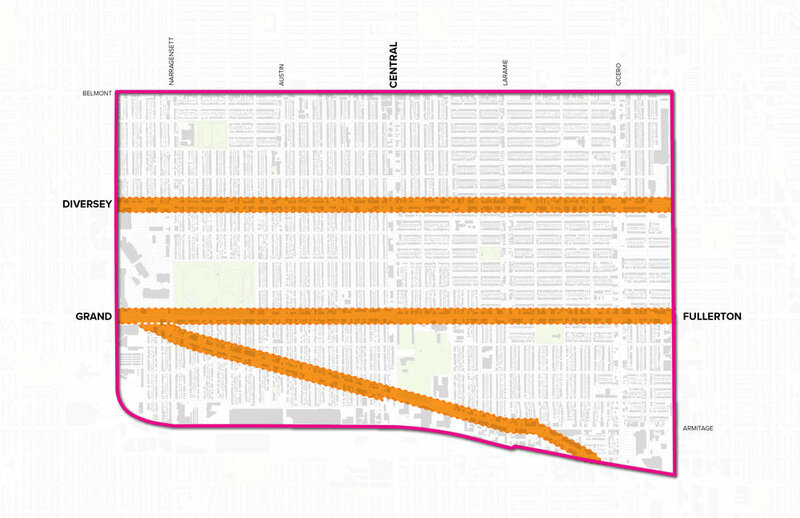 Building upon recommendations from the 2016 Belmont Cragin Quality of Life Plan, the Belmont Cragin Avenues for Growth Plan will develop strategies for promoting the local business community and improving the key business corridors (Diversey Avenue, Fullerton Avenue, and Grand Avenue). The Plan will also explore the linkages between transportation improvements and economic development. The outreach process will engage community leaders, businesses, residents, and property owners. Working in coordination with the Northwest Side Housing Center (NWSHC) and the community at large, the final product will be an action plan for NWSHC, local officials, local businesses, and partner organizations. If you’re a resident: Share your ideas on what would improve your community and make it a better place to live. If you’re a business owner or employee: We want to know the challenges your business may be facing. If you’re a community organization: Tell us how the Plan can strengthen your work and community connections. WHAT SHOULD YOU EXPECT FROM THE PLAN? Sign up with your email address to receive the latest info on Avenues for Growth meetings and updates. The Avenues for Growth plan is guided by residents’ input, and steered by JGMA Architects, Teska Associates, and the Northwest Side Housing Center. The Plan is funded by the Chicago Metropolitan Agency for Planning’s Local Technical Assistance (LTA) program, which has undertaken more than 200 projects since 2012 to help the region’s communities plan for increased livability, sustainability and economic vitality.